It’s probably been about 7 or 8 months of off-and-on planning, but the first part of my new vacuum former is now built! Working with John Seik of Complex Mold & Machine of Holderness, NH we have the outer portion of the “Clamping Frame” completed. 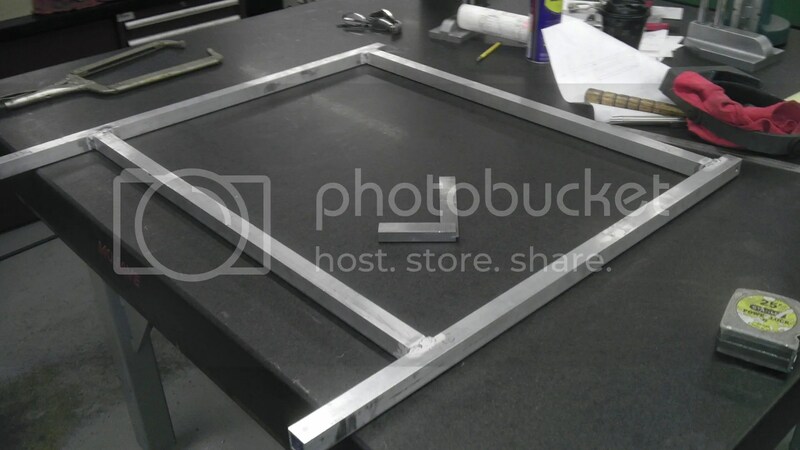 This frame has been precision cut and welded and now just in need of another length of aluminum tubing so we can make the cross mounts. The cross mounts will allow for up to 4 sizes of plastic to be used, reducing waste and allowing for short runs of multiple casings or projects at once. It’s been very cool to see this take shape and more details can be found HERE at the MBB Forums. I’ll be meeting with John again on Thursday and hopefully finishing off this clamp frame. More updates as they get built!